Antler Titus Cabin Suitcase cabin bag review - Which? 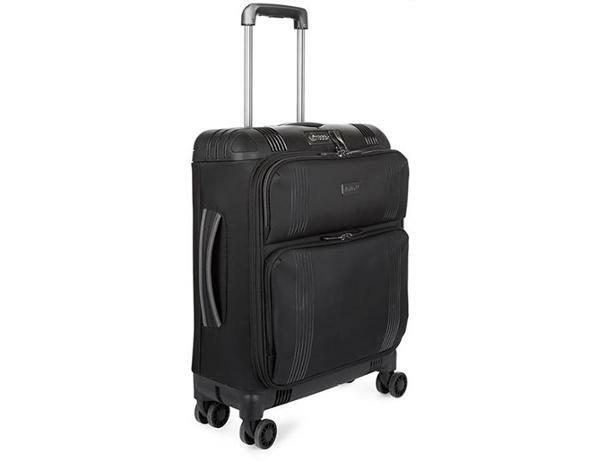 At a glance the Antler Titus Cabin Suitcase doesn't look too remarkable. It's a four-wheeled, soft-bodied cabin bag with a TSA lock and a couple of external pockets. However, it's what's inside one of those pockets that sets it apart: a USB power bank for you to charge your devices with while you're on the go. We take get hand-on with this cabin bag to see if it's a worthy feature or a simple gimmick.